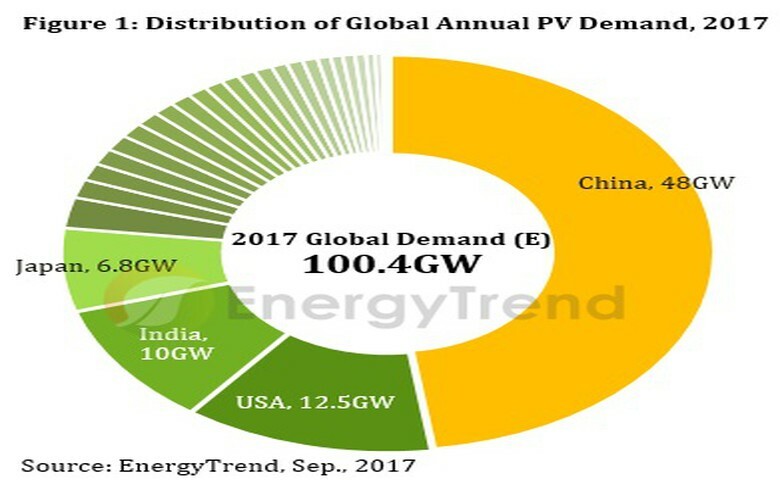 Sep 14 (Renewables Now) - Global photovoltaic (PV) demand will breach the 100-GW mark for the first time this year, driven by the Chinese market, where demand so far in 2017 has been far ahead of expectations, EnergyTrend said today. 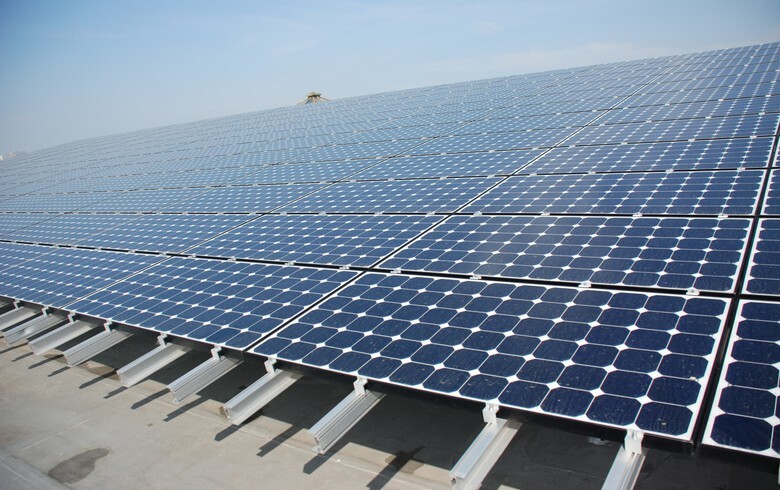 China is estimated to have installed 39 GW in the first eight months of the year, spurred by surging installations of distributed PV systems and is expected to add a total of 48 GW in 2017, accounting for nearly 50% of the global market. 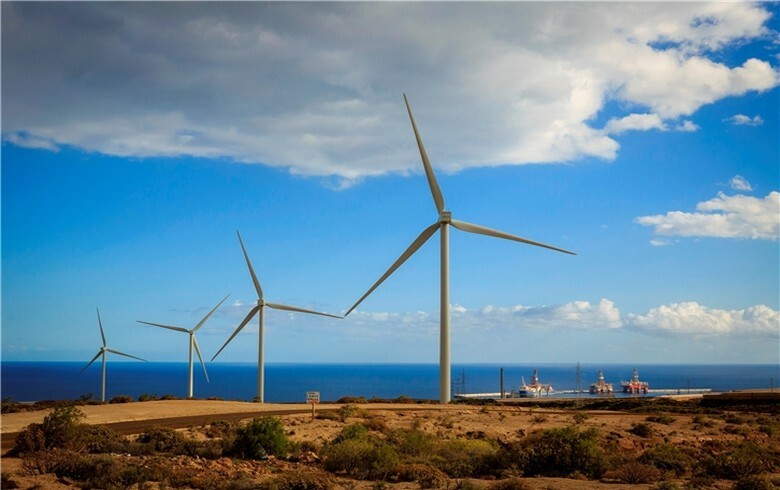 The research division of Taiwanese market intelligence provider TrendForce sees the 2017 global installations rising 26% compared to 2016 and hitting 100.4 GW. 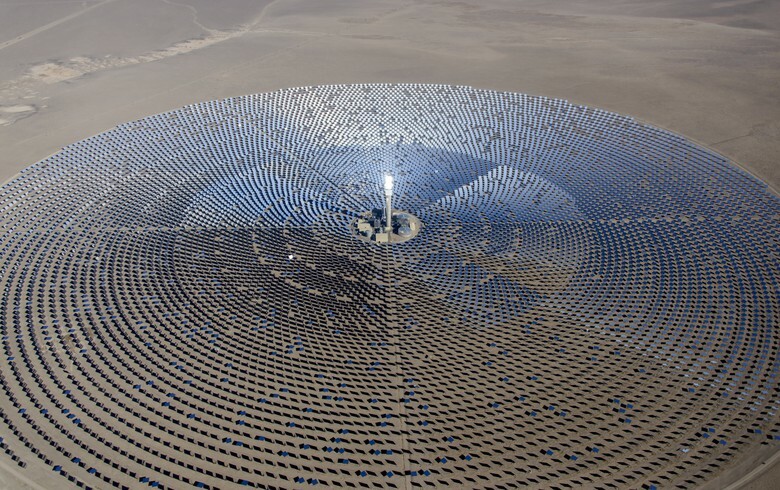 The strong Chinese demand will offset a softening in the US, where annual demand is projected to retreat 15% to 12.5 GW. 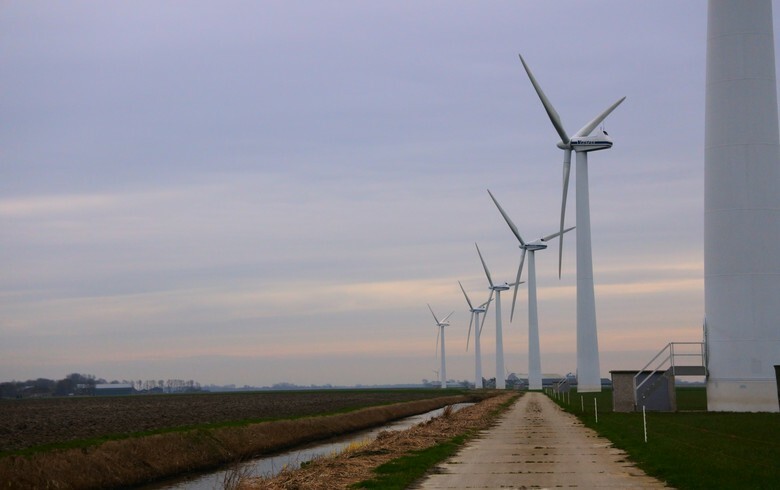 EnergyTrend said the 2018 outlook for the US market is very uncertain, ranging from 5.5 GW to around 10 GW, because of the Suniva trade case. 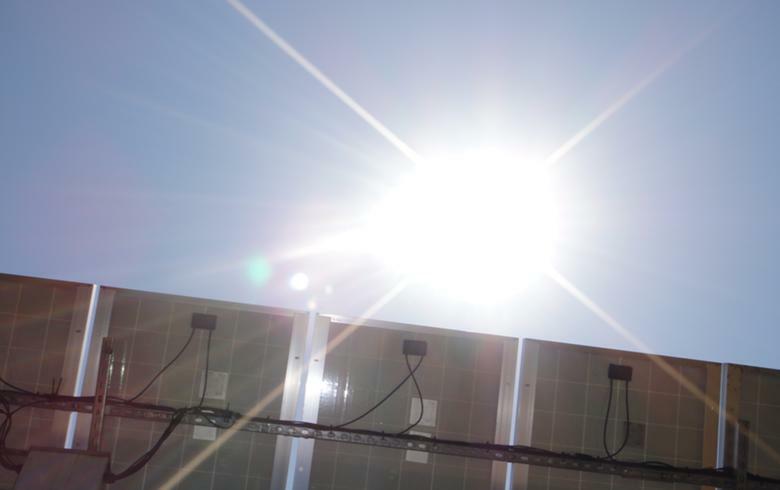 Annual global demand, however, is expected to remain above 100 GW through to 2019 as the Chinese government continues to support its domestic solar sector, EnergyTrend says. 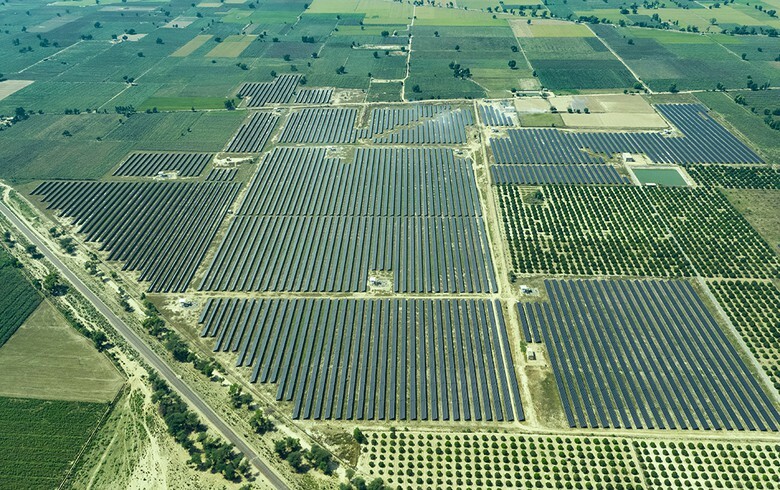 India has formally become the world's third largest market this year, surpassing Japan, and its annual demand is expected to be around 10 GW. Japan will be fourth with 6.8 GW.